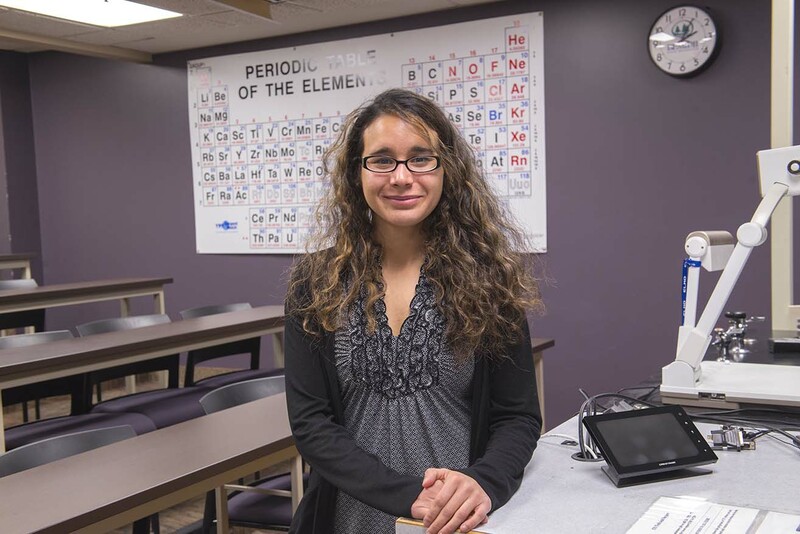 Gabriela Lara, the second youngest of five children, is grateful for teachers who inspired her to go to college—and for Bemidji State University, where several scholarships have made that possible. A first-generation college student from Otsego, Lara remembers scouring the internet for scholarships in high school so she could continue her education. Lara’s mother was born and raised in El Salvador and never had the chance to graduate from high school. Majoring in science education, Lara plans to teach high school biology and eventually earn a doctorate so she can shape education policy. She is a member of the NorthStar STEM Alliance, the McNair Scholars program for STEM students planning post-graduate study, and the International Student Organization, where she encourages others to pursue the sciences. She has presented locally and regionally on topics related to teaching methodology. She is also passionate about sustainability. As a participant in the BSU Honors Program, she initiated a National Collegiate Honors Council Portz Grant to establish an LED-powered garden in the basement of the Laurel House, where she lives with fellow honors students. She will present a program overview at the 2018 NCHC Conference. When she becomes a teacher, she hopes to encourage her own students to overcome any obstacles that may stand between them and a college education. She is motivated by the donors who make her scholarships possible.